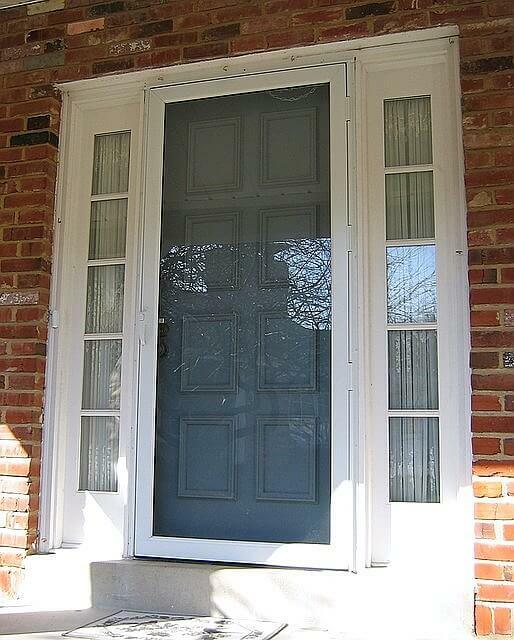 Installing a right storm door is very important to your home’s energy efficiency and protection of your front door. Protection for the winter. 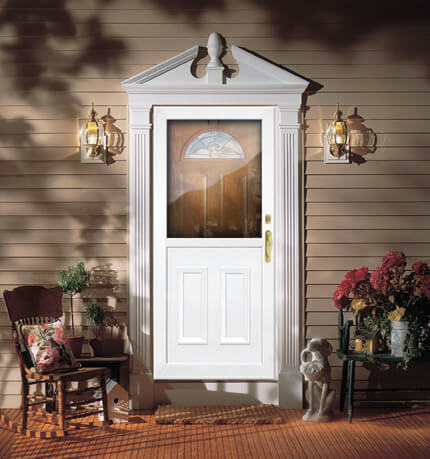 A storm door will keep the snow away from your expensive front door. 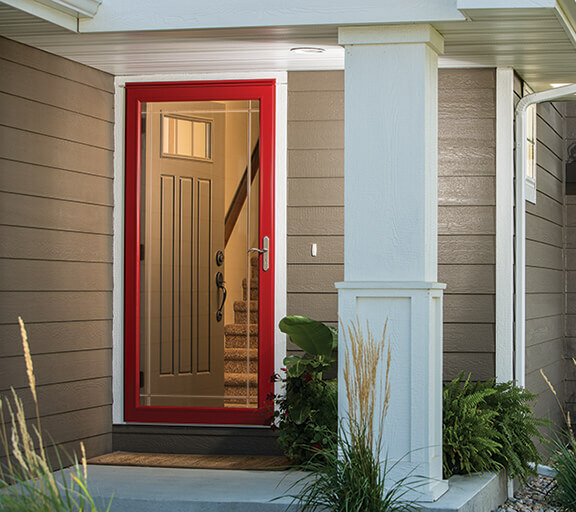 This prolongs the life of your front door by years. The storm door also keeps the snow from coming into the door frame so, when you open the front door, the snow doesn’t cover your entrance. Less clean up. Great for ventilation in the spring, fall and summer. 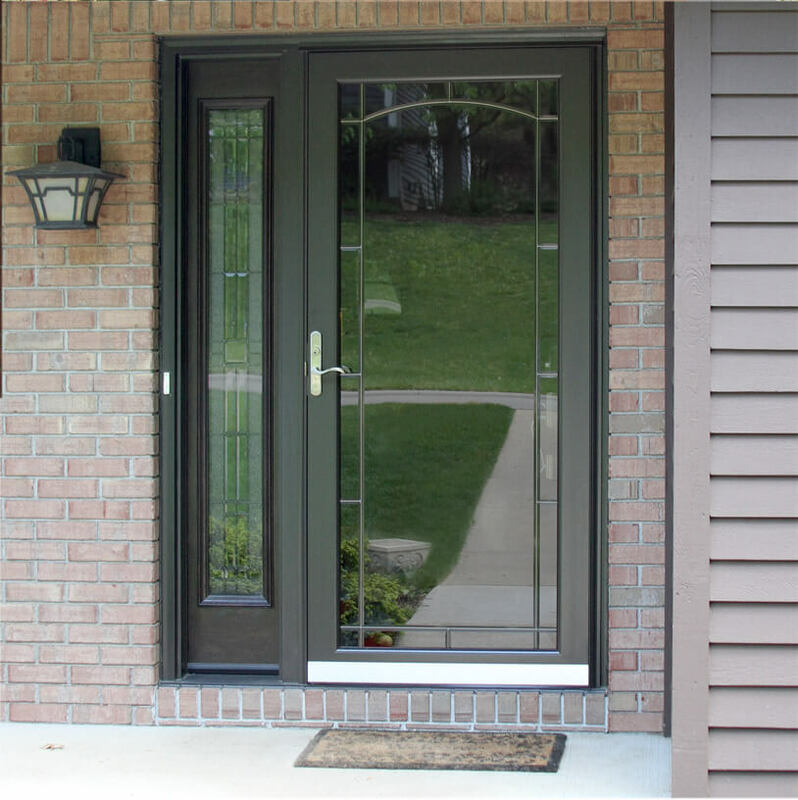 On the days you want your AC off or it’s just starting to get warm outside and you want to let some fresh air blow through the house, a storm door is a must. 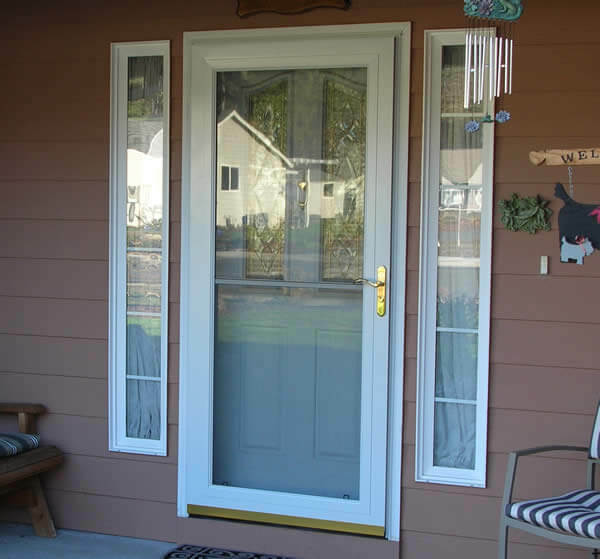 In the summer you want to have a screen on the door not to let our MN mosquitoes into your home.